While Turkey is reportedly preparing for an invasion of Afrin, political scientist Mehmet Yuva shed light on the US efforts to use the Kurdish-dominated Syrian Democratic Forces to thwart the Syrian Arab Army's plan to restore control over northern and eastern parts of the country in his interview with Sputnik. The successes of the Syrian Arab Army (SAA) on the ground have prompted serious concerns in Washington, which has been boosting the Kurdish-dominated Syrian Democratic Forces in order to retake Raqqa from Daesh and maintain control over it, political scientist Mehmet Yuva of the University of Damascus told Sputnik Turkey. The US claim that the Syrian government was preparing for a chemical attack coincided with the SAA's advance toward the Syrian-Iraqi border. Interestingly enough, the White House has yet to present any evidence to back the allegations. According to Yuva, the SAA's progress has largely upset Washington's plans to extend its control over the territory of Syria. Therefore, the academic emphasizes, the US will invent new pretexts to throw sand into the SAA's gears to stop its advance. Washington doesn't need any solid evidence to initiate a new strike against the Syrian government forces, he noted, referring to the White House's controversial chemical weapons claim. "Investigations into similar chemical attacks in Syria which had taken place in the past have not yet been completed, the results have not been made public yet, but the United States says that it knows who is to blame. Given this traditional American way of behavior, Washington's statements about the 'upcoming Damascus chemical attack' should be considered in connection with the events taking place in the Syrian war theater," Yuva underscored. The academic pointed out that the control over Raqqa lies at the root of the current developments on the ground. "Raqqa is very important for the Syrian government," Yuva told Sputnik, "This territory is not only a source of fresh water, it is also an agricultural land area where cotton is produced in large amounts; there are significant oil reserves in the region; this area is also of an utmost strategic importance from a military point of view." Yuva underscored that if the SAA fails to restore its military presence in the region, it will be unable to control Hasakah and Deir-ez-Zor. "For this reason, the Syrian army has kicked off a large-scale military operation from the south-western part of Raqqa (province); [the SAA] managed to recapture a large number of Daesh-controlled villages in the area between Raqqa and Aleppo. The successes of the Syrian army in this region have prompted the US and Kurdish self-defense units' concerns — this was reflected in several attacks on [Syrian] government troops, and a Syrian plane was shot down," Yuva elaborated, referring to a US Navy F/A-18E Super Hornet taking out a Syrian Su-22 on June 18. 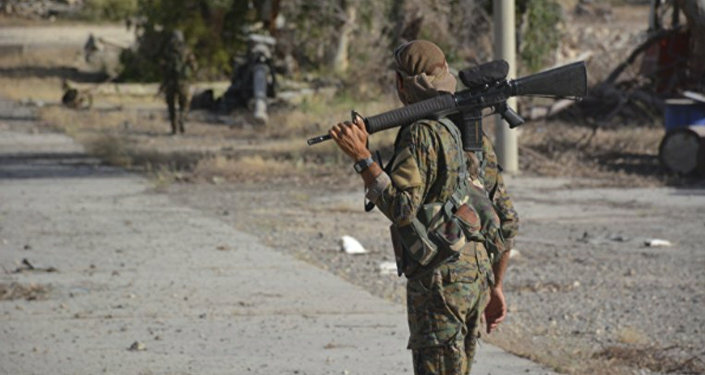 "Almost immediately after that, the issue of transferring Raqqa to the Kurdish self-defense units emerged, in exchange for a peaceful withdrawal of Daesh [ISIS/ISIL] from the region," the academic continued, "But due to the operation conducted by the Russian Aerospace Forces, Daesh failed to secretly leave the territory [of Raqqa]." At the same time, despite the US-coalition's hostilities, the SAA continued its advance toward the Syrian-Iraqi border and managed to establish control over a part of the frontier located in the south of Deir-ez-Zor region. "Thus, the Syrian government army has prevented the consolidation of Daesh forces concentrated west of Deir ez-Zor with [their counterparts] in the Jordan-Iraq border area," the observer explained. For its part, the US appears to use the Kurdish-run SDF to cement its presence in the Raqqa region, not allowing the SAA to retake it. Apparently therefore, Washington continues to equip and arm the Kurdish militia in the region. Yuva recalled that initially, in the very beginning of the Syrian crisis, there was a tacit agreement between Damascus and the Kurds regarding the strategically important Raqqa region. It was expected that the Kurds would fill the vacuum left after the retreat of the SAA to thwart the terrorists' advance. "This cooperation has lasted for a while," the academic noted, "But soon, despite the efforts of Russia, Iran and the Syrian government, the Kurdish self-defense groups began to boost collaboration with America." Furthermore, the SDF has recently announced that it is planning to expand its influence over Deir-ez-Zor once it takes Raqqa. According to Yuva, one of the ways to upset this plan is to take the Kurdish-populated canton of Afrin in northwest Syria. This Syrian Kurdish enclave is cut off from the rest of the Kurdish-controlled part of the country by a Turkish-controlled corridor. 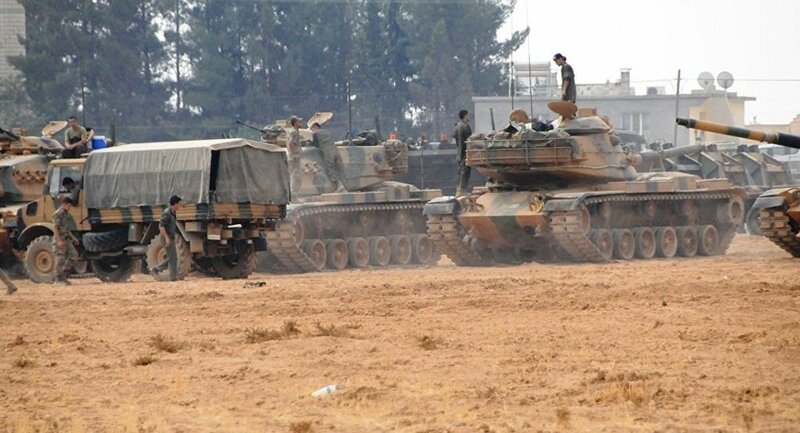 Indeed, it was reported previously that the Turkish armed forces and their allies among the Syrian rebel groups were mulling over the invasion of the Syrian northwest district. According to Yuva, Turkey is aware of the importance of Afrin as a strategic location and a replenishment source of manpower, funds and weapons for the Kurds. That is why Ankara intends to conduct a military operation in this region, Yuva explained. Ankara's intention is rooted in the fear that the Kurds will create a sovereign entity in the north of Syria posing a challenge to the Turkish national security. However, Ankara cannot kick off such an operation without consultations with Damascus and its allies, Yuva noted. "If we look at the situation from the Syrian point of view, the issue of Turkey's possible invasion of Afrin cannot be solved without consultations with Russia… In turn, if Ankara manages to reach an agreement with Moscow, then, probably, Damascus won't strongly object, and will give a green light to this interference," Yuva assumed.